Refined and robust. The elaborately handcrafted protector in untreated cognac-colored natural leather with light-colored contrast stitching provides ideal protection for the body of the D-LUX and looks great at the same time. The distinctive molded grip on the front ensures that the camera is always safely held and steady when shooting. 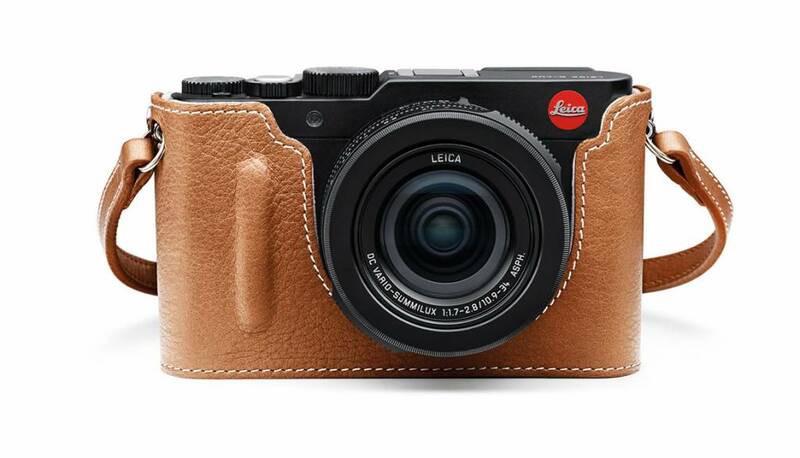 The design of the practical carrying strap, sold separately, harmonizes perfectly with the style of the protector and leather case for the Leica D-LUX. Thanks to a soft shoulder pad, this strap, also in cognac-colored leather with light-colored contrast stitching, provides outstanding comfort when slung around the neck or over the shoulder.